Gordon Meyrick lived from 1909 to 1943. He was one of eight children. His mother, Kate Meyrick, was a notorious night-club owner between the first and second world wars in London. 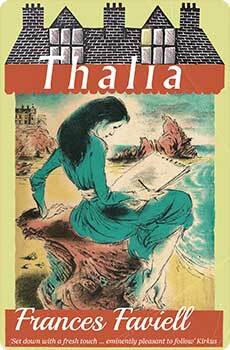 He was the author of four crime novels, published between 1941 and 1943, in addition to earlier stage successes. 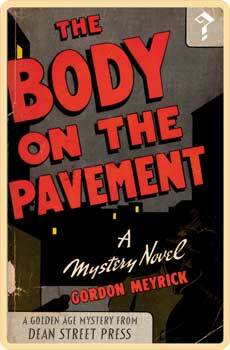 In 1943 Meyrick fell from an upper floor window to his death – the exact circumstances of this tragedy remain unknown. 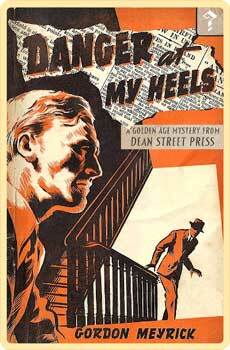 Dean Street Press have republished two of his classic mysteries: The Body on the Pavement and Danger at my Heels. 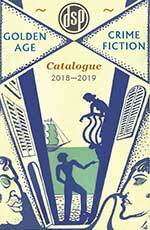 The plot takes Stephen on an amazing journey of subterfuge, secret codes, nightclubs, spies, rural England and romance.